Still Waiting On Your Bad Faith Settlement? 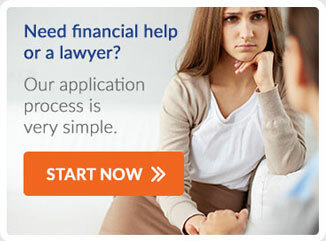 Need Lawsuit Funding On A Bad Faith Settlement? Most business owners have every intention of fulfilling the promises they make in their service agreements. This means that, when they create and sign their contracts, they are acting in good faith. Business owners, insurers, and contractors who make promises that they never intend to fulfill, on the other hand, are acting in bad faith. This could create the grounds for a lawsuit. Simply put, bad faith is fraud. It is an attempt to deceive a person intentionally and/or maliciously by promising something and taking money for a guarantee when you have no intention to fulfill it. Bad faith does not occur when a business owner makes an honest error in estimating his or her ability to complete a job, fulfill contract terms or when the mistakes and accidents occur. Bad faith is defined as an attempt to deceive another party. When a policyholder is not honest on the application, the insurer generally holds the right to withdraw or rescind the contract. But what happens when the insurance company isn’t honest and has no intention of paying claims? In that instance, they have acted in bad faith and the policyholder can consider recovery through a lawsuit. As a consumer, it is very difficult to go up against an insurer. You can talk to the customer service department, talk to the claims department, ask for managers and even write angry letters but at the end of the day, it generally feels like the insurance company holds all the cards and you are completely powerless. At Pravati Capital, we want to help you hold businesses and insurers accountable for the promises that they make. If you feel that you have a bad faith complaint against a business owner, contractor or insurance company that has breached a contract and caused damages, contact us today. Our network of attorneys includes many who are experienced in dealing with bad faith suits. While you and your attorney work together to determine damages and fight the company, Pravati Capital can provide help for you to begin recovering from the damages you’ve suffered. The financing is non-recourse, which means you only repay it when you win your suit. This is just another way that Pravati Capital shows its devotion to your success by giving you the legal funding you need for your bad faith settlement. If you believe that you are experiencing Bad Faith, contact Pravati Legal Funding today.